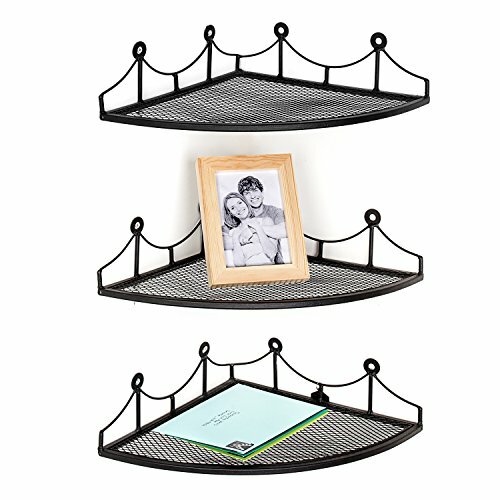 A set of 3 corner shelves made of metal with a classic black finish. 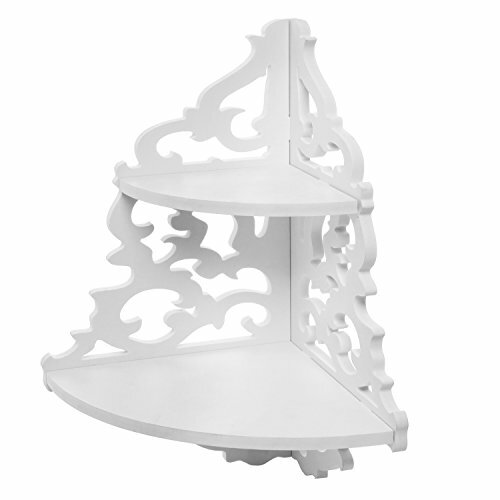 Each shelf features a metal mesh base and a curved decorative railing along the 2 straight sides. Install using the 4 mounting brackets on each shelf & appropriate mounting hardware (not included). A pair of realistic and petite boxwood topiary. 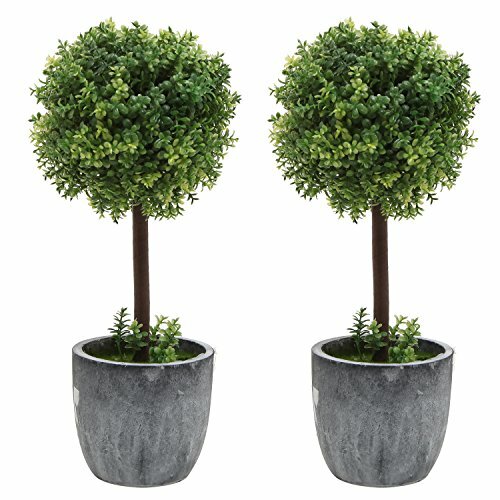 Comes as a set of 2 identical artificial plants, each in a naturalistic gray planter. Use to bring a touch of greenery to desks, coffee tables, patios, and more.